This third installment in the popular Skylanders series is the best in the series! With its brilliant swap feature it puts kids are in charge of making their own heroes. 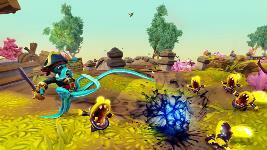 Skylanders Swap Force takes place in Skylands, a magical place full of floating islands. Kaos -- the evil nemesis from the earlier games -- is back with a new plan to take over the Skylands. He has found some dark crystals of magic that he is using to turn creatures into bad minions. 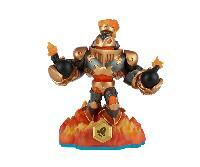 To defeat Kaos and his minions, kids must bring the superheroes called Skylanders into the game. Players do this by becoming a Portal Master who selects which toy figures to place on the game's circular platform portal. The virtual character immediately appears on the screen and is then controlled by the player. Kids can switch out characters on the fly by simply placing their toy version on the portal. As this adventure unfolds, players learn about special Skylanders called Swap Force who were created 100 years ago. They are needed now to help restore the magical power to Mt. Cloudbreak, a volcano that erupts every 100 years to spread magic over the land. The starter pack for the game ($74.99) comes with two Swap Force Skylanders (Blast Zone and Wash Buckler) as well as one regular Skylander hero called Ninja Stealth Elf. It also includes a portal to plug into the console and the game disc. At release, Activision is selling 14 more Swap Force Skylanders ($14.99/each) and 16 new Core Skylanders characters ($9.99/each); however, you can play the game with the 3 characters that come in the starter pack. Toy characters from the first two games can also play in this version. As in previous games, each Skylander hero is aligned to one of eight elemental forces: water, air, fire, magic, life, earth, tech, or undead. As kids play through the game, they will encounter locations where having a specific elemental force will make that hero stronger; so it is advantageous to swap in a Skylander with that force. There are also side quests accessed by Elemental Gates that can only be opened by heroes aligned to specific elements. 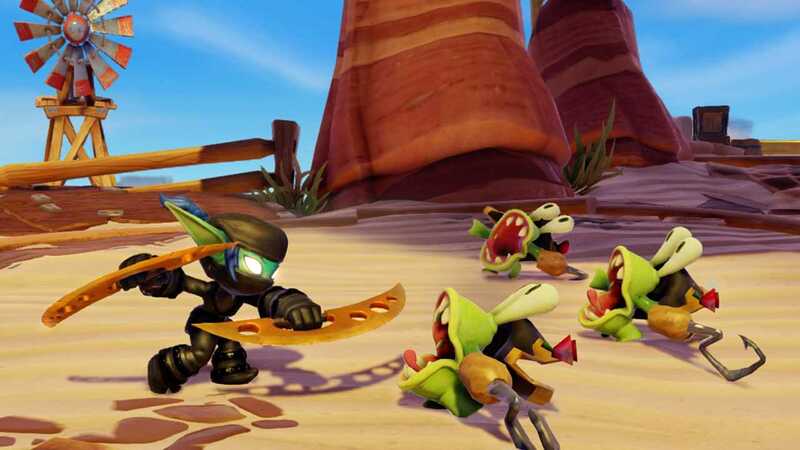 Skylanders Swap Force introduces a fundamental change in the franchise: movement. All characters, whether new to this game or coming from earlier games, can now jump. 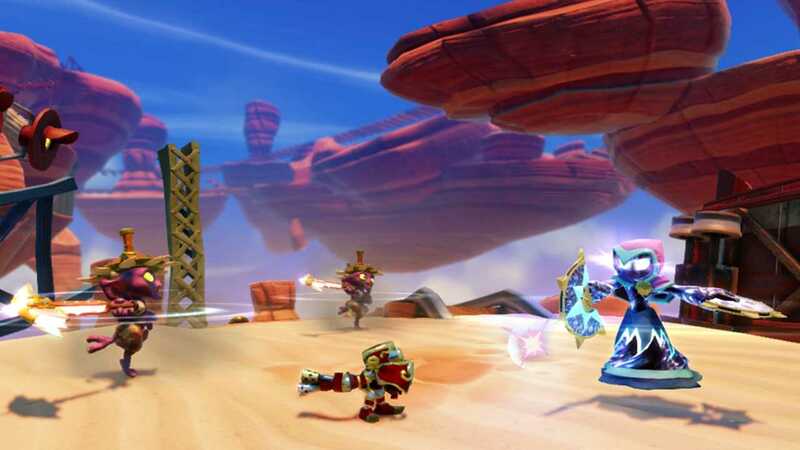 Even more exciting are the movement abilities of the new Swap Force Skylanders. Each Swap Force Skylanders has one of eight forms of special movement: spinning, bouncing, teleporting, sneaking, digging, climbing, speeding, or rocketing. These special movement abilities come in handy throughout the game, and are essential to accessing special zones that branch off of the main story mode. For example, in one zone for characters with the bounce ability, kids control the bouncing character as he jumps from one floating island to another so as to pop Kaos' bubbles. The other exciting addition to this franchise is the Swap Force Skylanders' ability to mix things up. The toy figures have two parts held together by strong magnets. Kids can mix and match the parts as they see fit. The bottom half is tied into how the hero moves, and the top half contains the character's personality and special abilities that can be used in battle. For example, with the starter pack Blast Zone character, his top half allows him to throw bombs and breath fire, while his bottom half allows him to rocket around. 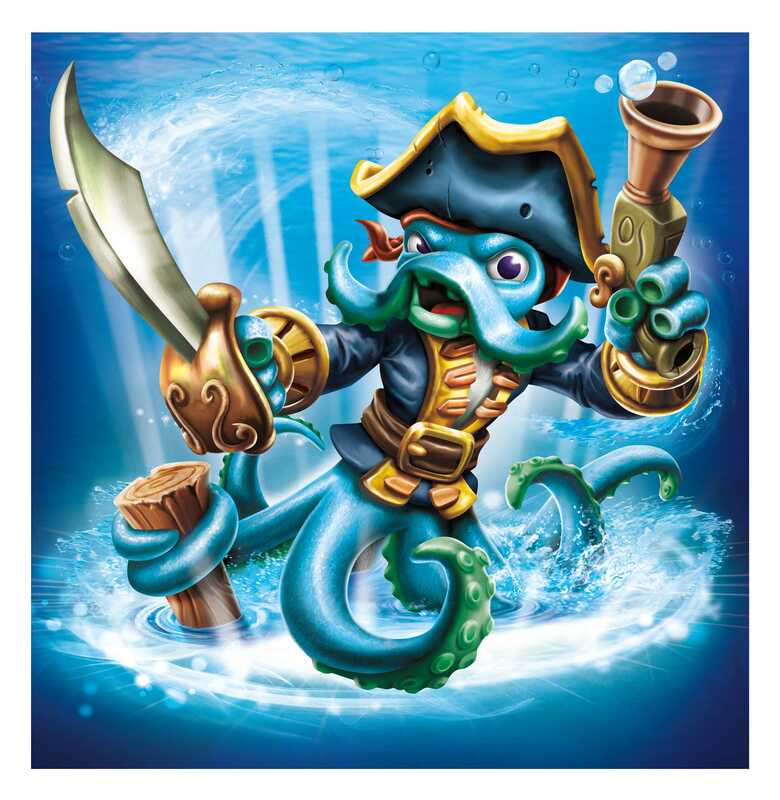 Likewise, with the Wash Buckler character, his top half wields a sword and shoots bubbles from a gun, while his bottom is an octopus with the climb ability. Players can swap them around so that you have a bomb-throwing octopus or a swashbuckling rocketeer. Each gets its own name and video introduction when first presented in the game. What is also cool is that each toy half has memory. It keeps track of its own game stats, leveling up as it plays. Even better, these stats are console agnostic, so if your child is playing his game on a PlayStation 3 and he takes his leveled-up hero over to a friend's home where the game is played on a Wii U, the stats travel with the toy part. Innovation, such as swapability is great; but only if it's part of a great game. Luckily, Skylanders Swap Force is a great game. It has a funny and exciting story told by memorable characters who all talk to you. It offers a nice array of action sequences, varied combat against constantly changing baddies, environmental puzzles, platforming challenges involving jumping, mini-games, and collectibles. Around every corner is something new and wondrous, whether that be epic jump pads that send you soaring over the whole level, magical hats that look ridiculously fab while infusing your character with stronger abilities, or special puzzles that test your logical thinking as you move two characters over a grid to meet in the middle. Also enhanced is the two-player drop-in, drop-out feature. In this Skylanders game, the second player has lots more to do. Plus, the game can be played on three levels of difficulty and dangles a super hard level that unlocks after you have beaten the game the first time. BEST FOR:While the toy figures will appeal to very young children under age 10, this game isn't for them. Skylanders is a game for kids ages 10 and up (ESRB rated it as E10+) because it has a fair amount of cartoony combat involving a wide array of weapons (guns, bombs, swords, etc.). But for those old enough to play it, this game is a blast.